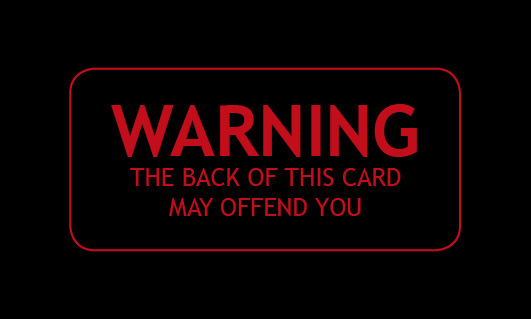 This tract appeals to a younger audience who love to avoid warnings. 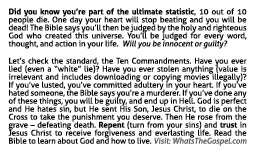 Did you know you’re part of the ultimate statistic, 10 out of 10 people die. One day your heart will stop beating and you will be dead! The Bible says you’ll then be judged by the holy and righteous God who created this universe. You’ll be judged for every word, thought, and action in your life. Will you be innocent or guilty?